With more than 100 million registered players, Minecraft has taken control of gamers all over the world. 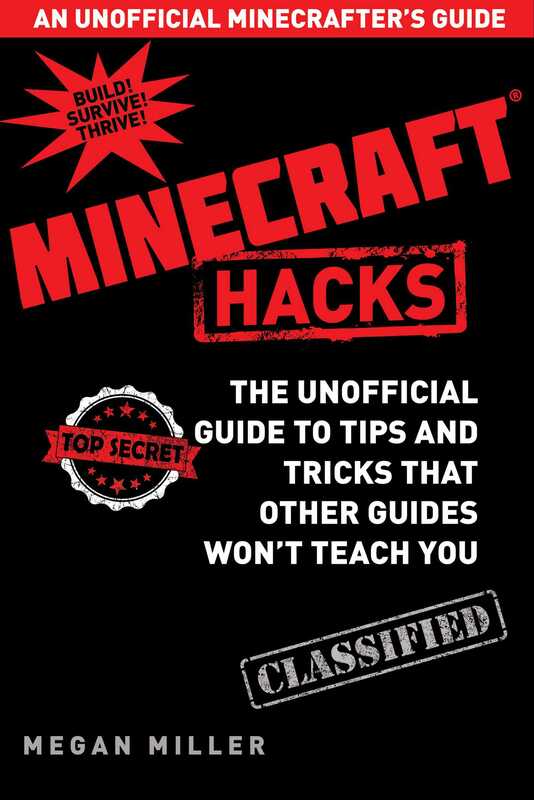 With Hacks for Minecrafters, you'll be able to take back that control! Only with the help found in Hacks for Minecrafters will you be able to craft your world exactly how you want it to look, all while discovering the hidden gems of the game. Miningincluding diamonds and rare minerals! Farminggrowing tricks, seed hacks, and the best tree-replanting techniques! Battlefor the best weapons and armor! Magictop crafting hacks and book modifiers! You will never be stuck again! With more than one hundred full-color screenshots of in-game footage, you’ll be able to carefully follow every tip with precision. It doesn’t matter if you’re playing on a PC, mobile device, or home console; with Hacks for Minecrafters, you’ll be beating the game in no time. Every block has been accounted for, all living entities have been taken into consideration, and all modes of game-play are covered!